The icon file link is broken, is it possible to update it? I was relying on the original link by @Signal11 to his google drive. That would be awesome - have the widget installed and working great … just need the icons. Thanks in advance. If anyone knows how to upload a zip file to this forum let me know, this was is clunky. 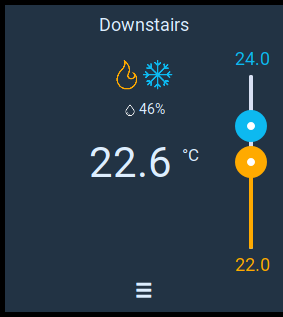 For some reason when I change the temp slider, it does not change my actual thermostat temperature. 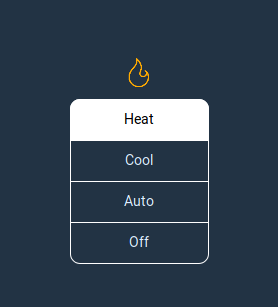 I can change it from Heat to Cool and back again without issue (i.e. it changes the thermostat). 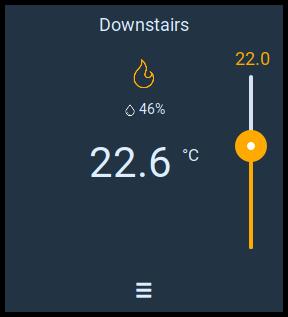 Temperature slider does nothing. Any ideas? My first guess would be that the rules file isn’t correctly installed? Make sure you updated your ecobee id in that file and it’s in the right place. If it looks ok, i’d say take a look at the event logs and see if the items are being updated. 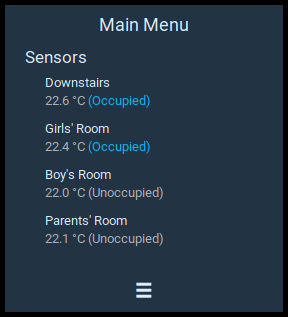 It doesn’t seem to read all my remote sensors correctly… no events in the log file and nothing obvious… thoughts? Just updated… same problem… actually, now I only see one name (Living Room) and the rest are no names, no temperatures, and all state (unoccupied). Also, now I have the A in front of my degrees Celsius reading. Sorry about that, I recently switched to github to host the file but never changed the link on this page for the actual widget file. 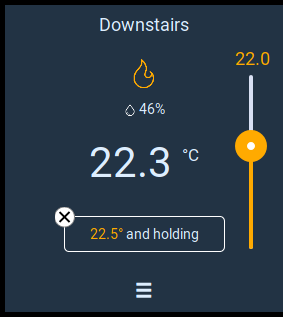 Celsius fixed, but now there are no names for any of the Sensors… I’ve got temperatures and occupancy for all 4. Just no names. Appreciate the quick turn around on these! All working. Awesome work and thank you! im sorry I am dumb and fixed this, however I would like to get rid of the remote sensors being displayed since i don’t have any. is this easy? There is an option to display them on a second screen with the the “hamburger” icon at the bottom. I don’t have an option to hide that icon if you don’t have sensors.